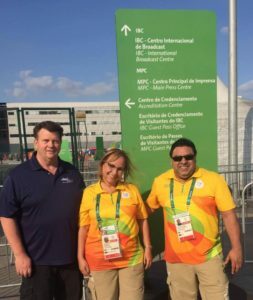 With nearly one week complete at the 2016 Olympics, Jani-King of Brazil continues to be the go-to vendor for cleaning needs. Most recently, Jani-King received significant recognition in getting over 100 workers to the Olympic Village and cleaning around the clock to help another vendor to start the games. This was in addition to the 1,000 plus Jani-King crew members already cleaning other Olympic areas. The Rio 2016 management has since counted on Jani-King to provide additional help when needed at multiple facilities. Congratulations to Jani-King of Brazil for your work so far at the Olympic Games Rio 2016! Keep checking back for regular updates about Jani-King’s gold medal performance in Rio!